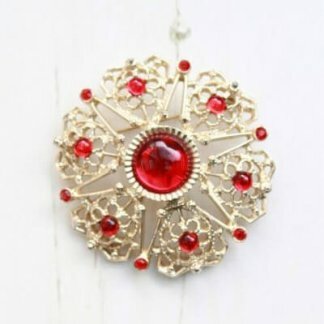 This ‘Floral Spray’ brooch is one of those pieces. 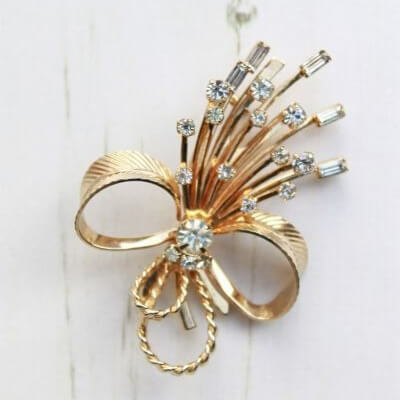 The Floral Spray brooch features an array of different crystals affixed to a gold plated setting, rope twists, textured bow and smooth fan detail make this a beautiful brooch. 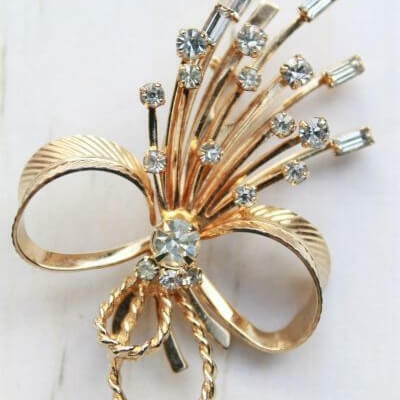 It’s elegant style makes this a brooch that can be worn with any outfit, it’s sure to enhance any dress and be the envy to onlookers. Measuring 6.5cm tall, fully signed and complete with a strong roll lock clasp to the back. 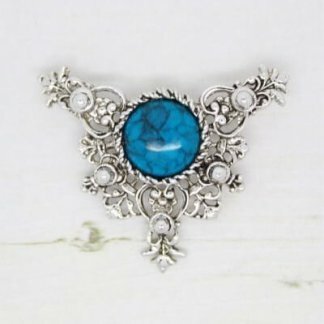 The brooch is in very good condition, showing slight to no wear. It’s bright and clean complete will original crystals each one claw set.